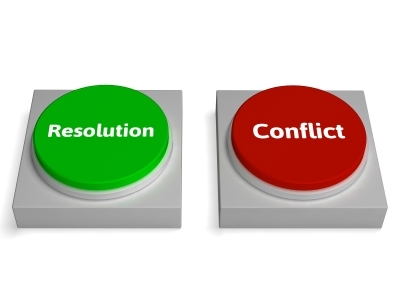 Mediation – With mediation, both sides of the dispute will work out their differences through a neutral mediator. The process is confidential and both sides will discuss different ways to come up with a resolution. Often, resolutions can be made that please both parties; however, if an agreement is not reached, the mediator can't make any kind of determination and the dispute may need to go to trial. Arbitration – In arbitration, both sides give a presentation to a neutral arbitrator who will ultimately make a decision. The presentations are made up of documents related to the argument and testimonies from witnesses. Once the arbitrator makes a binding decision, then the resolution can't be appealed – if the decision is non-binding, then the case can be brought to trial. Alternative Dispute Resolution – Alternative dispute resolution is a broad term for methods that avoid litigation, such as conciliation and negotiation. By using an alternative dispute resolution method, both parties have a greater say in the procedures used and the solutions adopted than if the case went to trial. Alternatives to trial are also generally confidential, so that both parties can be open and candid about their issues. Many people feel that arbitration or mediation can help maintain relationships, as some of the processes used are intended to reduce aggression in both parties. They are also meant to help each side communicate with the other effectively. With mediation, in particular, the process is devised to come up with a solution in which both sides feel that have won.